Microsoft is finally starting to replace Skype for Business with Teams. For too long these two solutions have coexisted while offering the same main features, such as IM and calling capabilities. 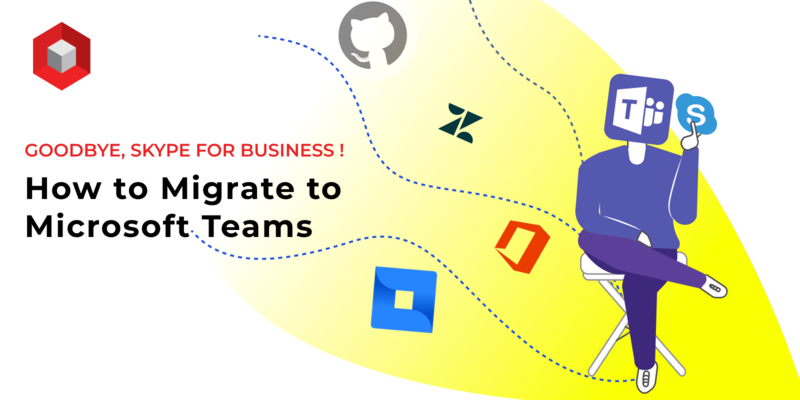 However, the switch to Teams is a move toward even greater connectivity, as it can be linked with multiple applications from the O365 stacks as well as with popular applications like Zendesk, Jira, GitHub, and major storage solutions. – Skype for Business with Teams Collaboration and Meetings: This mode will help the organization using Skype for Business on premise benefit from all of the Teams features. The upgrade from Skype for Business Online to Teams will be quite simple for all users. First, it is important to alert all users of this change by enabling the notify feature from the admin console. Users will see a yellow banner on Skype for Business noting the upgrade to Teams. You just read about how to migrate to Microsoft Teams. If you have any questions or technical problems, visit our office 365 support here!